So, Chinese New Year celebrations for 2014 are now slowly but surely coming to an end and I for one will be very happy to see the back of them because if I have to be honest, the festivities have been particularly challenging this time around. Now before you sit back and marvel at the suggestion that every year, there is this bald white man from the depths of Essex who leaps into a frenzy of family gatherings, fireworks and lion dancing, I should probably make things clearer. I don't normally celebrate Chinese New Year per se. Sure I'll salute with the odd cursory "Kung hei fat choi" here and there, wincing at my own pronunciation (and spelling). We'll order takeaway with cheer, happy to have some excuse other than, well it's a Friday night and we really can't be bothered to cook. One year we did take a trip down to Chinatown in London, to soak up the bustle, noise and colour. But ordinarily, I don't take things too seriously and why should I? After all, I am not a Chineser. I am using a colloquial term here by the way. It's out there, on the internets. One person who has been taking the whole Chinese New Year thing seriously though is my son. Lapping up all the extra-curricular activity encouraged at school, he has been making dragon masks aplenty and inquiring inquisitively about red envelopes. He also constantly keeps banging on about the Chinese Zodiac, apparently disapproving that he was born in the wrong year. "Why was I born in the year of the rat Daddy? I don't like it." "Well, you just were Fin. Mummy and Daddy really didn't think too much about things at the...um time when we thought about having you." "No they're not. They are wily, cunning and resourceful. Very clever in some ways. A bit like you eh Fin?" "Rats caused the plague millions of years ago and killed millions of people." "Yes Fin, yes they did. But let's not worry about that." Like I said, things have been challenging and the sooner we get the whole notion of Chinese New Year out of the collective consciousness in our house, the smoother things will be. 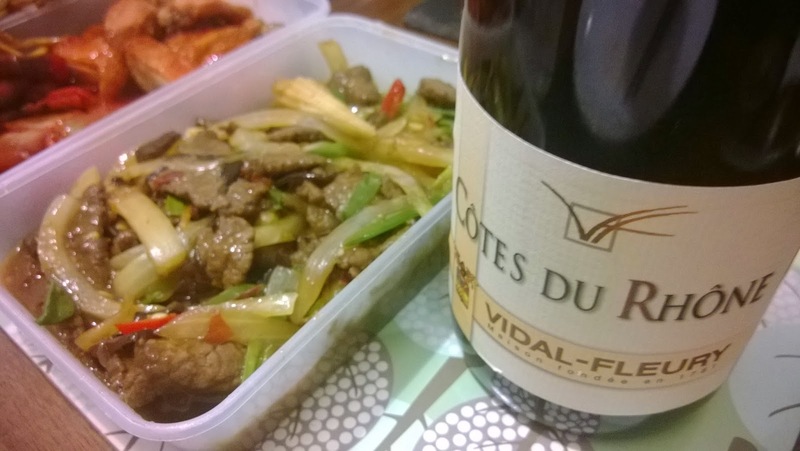 Speaking of testing times though, I did recently undertake a task of pairing wine with Chinese takeaway food as part of a challenge set by Côtes du Rhône, which was also a bit of a minefield. 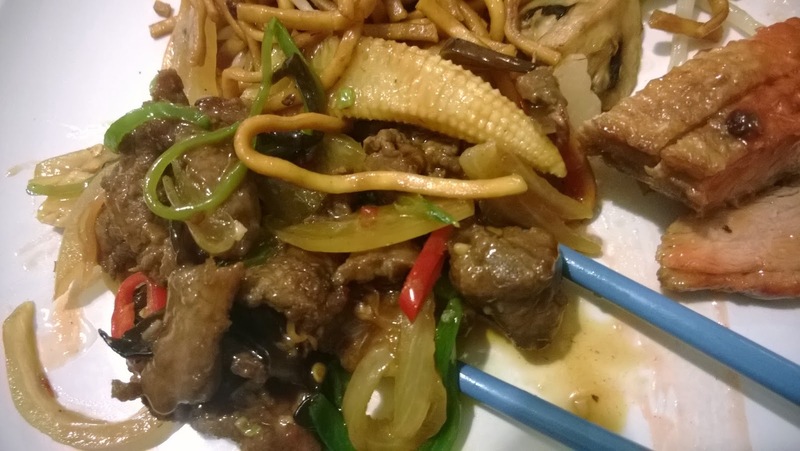 For one, whenever I've picked up the phone on a Friday night, I have never really considered whether the plonk in the fridge will go with chicken chow mein. However, compared to juggling with a five year old's searching questions about self-identity based on animal personalities, it was a walk in the park really. Two bottles were sent to us, namely a Côtes du Rhône 2011 Vidal-Fleury and a Domain Maby Tavel Prima Donna Rosé. Both a bit of mouthful to hammer out in one sentence at the off-licence sure but both the bottles are gentle on the pocket, with a price range of £8-£10. As always, the tasting was the easy part and about half an hour prior the golden hour of 5 o'clock, which is when our local Chinese takeaway opens, I undertook a couple sniffs and gargles with Mrs FU whilst scanning the menu. The Vidal-Fleury was quite well rounded, medium in body with spice and hints of red berries whereas the Prima Donna had quite an acidic kick with notes of strawberry. For a rosé it was also fairly alcofrolic and heavy and quite unlike any rosé we had tried before. It was very punchy in fact. 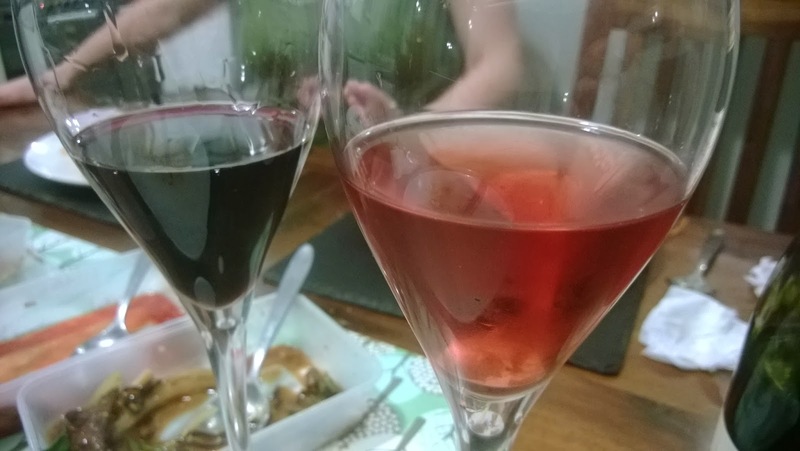 Normally we never really agree on these things but after perusing the standard Cantonese menu that is offered to people throughout the country, we both decided to go full on with the meat as they were both pretty gutsy wines. 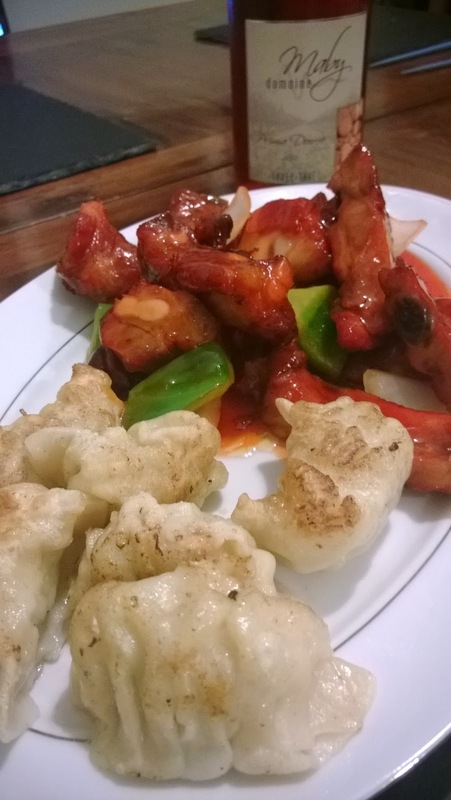 The phone was picked up and we ordered some grilled pork dumplings, some sweet and sour ribs, a portion of beef in sea spicy sauce and a thwack of roast duck and yes, more pork. There was some capitulation to vegetables in the form of spring rolls and chow mein but we didn't want to go too crazy on sundries because we wanted banana fritters for afters. Chinese takeaways don't normally do much in the way of desserts but they do do banana fritters. And sometimes lychees. "10 minutes," said Su on the other end of the line. Our orders always take 10 minutes. Never more, never less. Apart this one time when Su gave me 15 minutes. "Ooh that make's a change Su, you busy tonight then?" "Nah," she replied. "Bloody cook is late innit." So how did the food from the East fare against the wine from the West then? Well by and large, it was the Tavel that seemed to compliment everything. 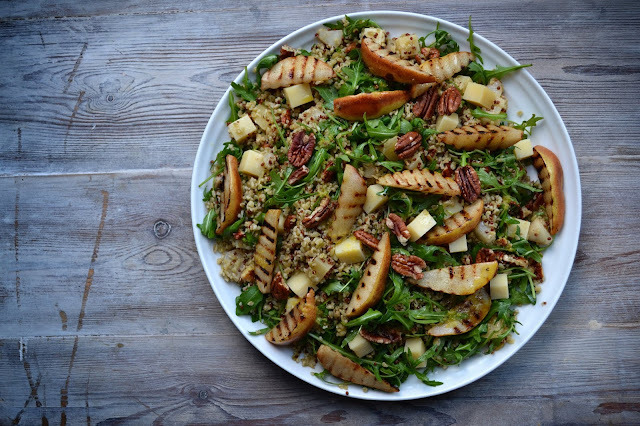 In our minds we sort of felt that the rosé would lead us through the starters of dumplings and ribs, using that acidity to cut through the rich and sweet. Then the Vidal-Fleury with it's warmth and spice would match the heat of the chilli in the beef and compliment the fatty duck and pork. 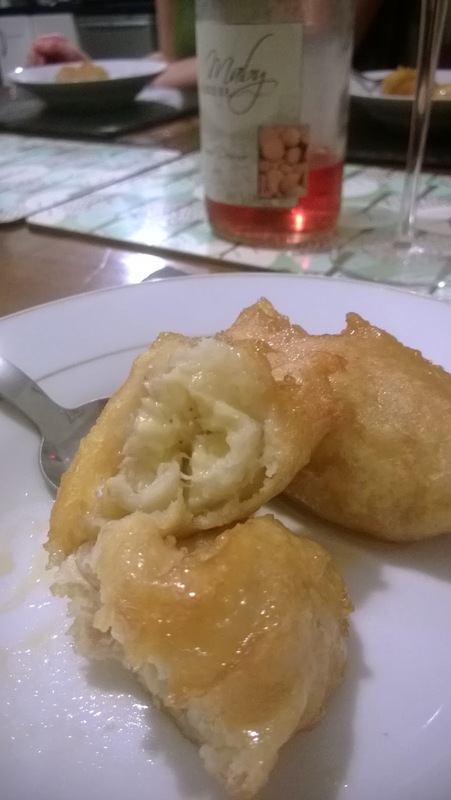 And then the idea was to switch back to the rosé to marry up with the battered banana. But as we had taken the decision to keep two separate glasses topped up throughout the meal, the Prima Donna, like it's namesake, seemed to hug all the limelight. It sort of went with all the food, particularly the beef, which was a surprise. 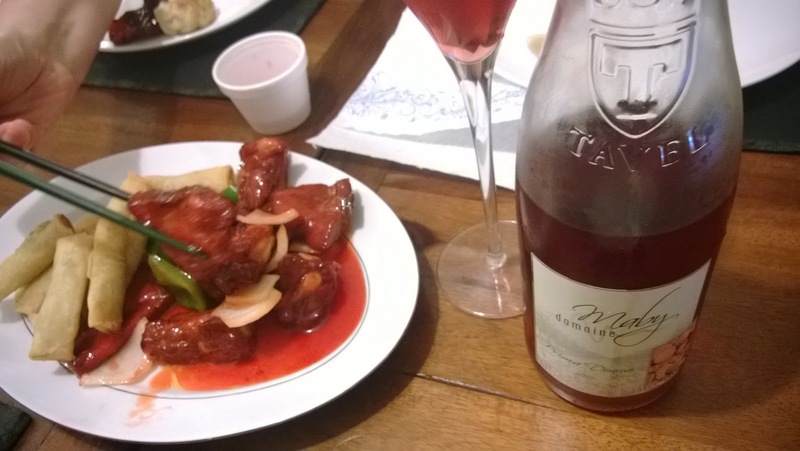 I mean if Côtes du Rhône are using this challenge to get bloggers to weasel out the best wine from their region, as the partner for Chinese food, then I would say that they should champion the Tavel Prima Donna Rosé most definitely. Although perhaps I should try some more wines the Massif Central first before coming to a foregone conclusion. If that sounds opportunistic, brave and perhaps even egotistical, don't blame me, blame my wife. She had the most to say during this tasting and she was born in the year of the Tiger.